Here is an idea, don't tell the children anything and stop spreading fear. The more someone claims to be experiencing something the more others will join in. I'm not saying nothing is going on but I will say this. When children are involved we make every attempt to keep them out of the conversations, such events will be remembered for years and can lead to serious changes, and formations in belief systems. The smell I would seriously worry about, have someone come in and look at the wiring. You are so right with that post. There is a time and place to believe or disbelieve but when it comes to children we have to exercise responsibility and like any other area of their upbringing shield them from potential harm - until they are older and wiser enough to form their own evaluations. I would suggest, if you are interested in a real investigation, that you do some research on the group or groups you let in there. 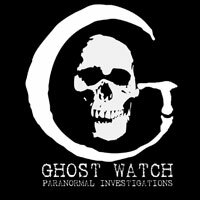 I had a potential case, I say potential because we are undecided on investigating it, who told me that a group of researchers had confirmed to them that the haunting of their house was from a particular demon which they knew by name. Ask lots of questions. New here. May the Entire (universe) open your mind to the Truth. 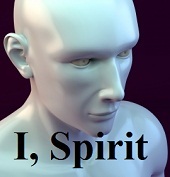 I have this to say to Mummy3: Spirits exist with the same certainty that humans exist. In fact, we are in the dream world. Spirits live in the real world. You are a spirit first and foremost. The world of spirits and our world are joined by an energy field and some humans, you included, have the ability to connect with the real world. All who can feel the real world are blessed and your mission is to bring to this our dream world the news that there is a real world out there, which is the world where you came from in the first place, for you are spirit too. Religion or agnostism have nothing to do with the real world. The real world is simply one of God's worlds. The important thing is the lesson learned both for the spirit and the spiriton (the human). People who claim that spirits do not exist are in denial, plain and simple. These are the ones most in need of light. The ones must in need of help. They seek in their denial the Truth.